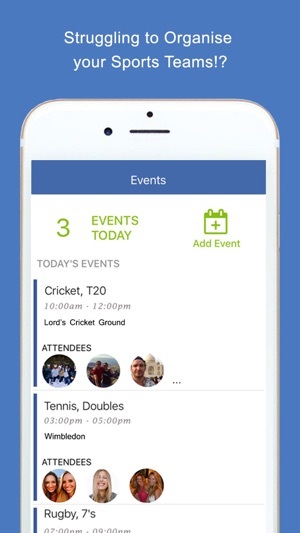 •	Cheza helps organise your sports teams with the inbuilt calendar and event functions. 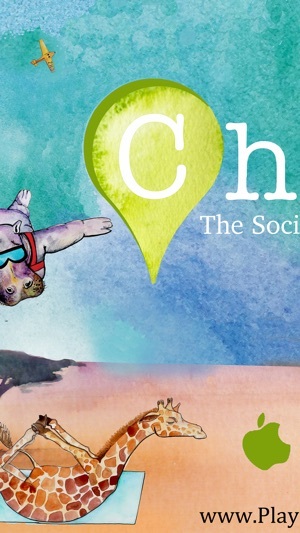 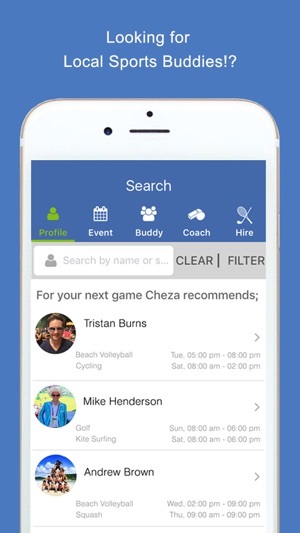 •	Cheza also helps find new local sports buddies on your level with the inbuild profile search and rating functions. 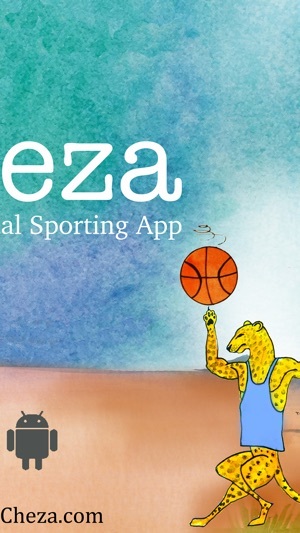 Cheza is your Local Sporting Network. 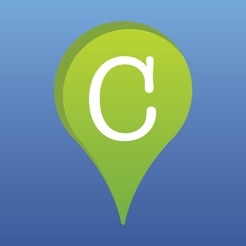 Find Local Sports Buddies!